Cordless handstick vacuums are the future of vacuuming and make the dreaded household chore an easier task, with LG one of the brands leading the revolution. Along with Dyson, LG is putting an end to corded vacuum cleaners with its full range now cord-free. 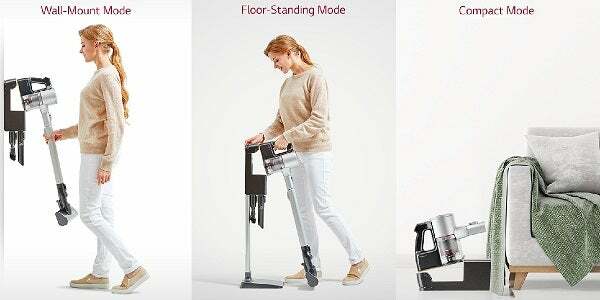 But with many standard handstick vacuums currently lacking in suction power and run-time, how does LG’s newest addition, the LG A9 Handstick, really stack up? It comes with a high price tag, but is worth the money? Read on to find out. What is the LG A9? The LG A9 handstick is LG’s latest vacuum to be added to the LG pack. It’s boasted for its long-run-time battery performance and ergonomic design. It is equipped with LG’s Aeroscience system, which refers to LG’s air flow vacuum technology. 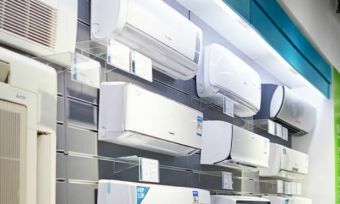 The system is designed to create mini whirlwinds of air that helps separate dust particles and other allergens. The LG Inverter Motor is stated to then rotate at high speeds to create fast air flow within the vacuum chambers. How does the LG A9 work? This latest LG range turns on with the touch of a thumb. The off button and ‘turbo’ mode are also located at the top of the appliance for ease of use. Its five step filtration system is boasted to remove the majority of dust particles down to 2.5 microns in size. The finer dust is captured in a dust filter, while large particles are deposited into the dust bin. The filter is stated to be easy to clean – simply turn the exhaust cover to separate the filter from the body. Its power drive nozzle rotates the roller while vacuuming, claimed to provide effective particle pick-up. How long does the LG A9 battery last? The LG A9 comes with a dual power pack – two lithium ion batteries – both of which provide 25.55V capacity. In normal mode without the power drive nozzle, it’s stated to run for up to 40 minutes per battery. With the power drive nozzle, it should provide up to 30 minutes of suction. More budget friendly vacuum cleaners typically have a run time of about 20 minutes. If using the LG vacuum on power mode, it will only last you up to nine minutes per battery and up to six minutes on turbo mode. The charging time required for each battery is 3.5 hours. In terms of switching batteries, it boasts a quick and easy process where you push buttons on both sides to slip the battery in or out. LG has certainly amped up this latest range compared to its previous. The total weight of the A9 model is 2.7kg (with carpet nozzle). It has an adjustable telescopic pipe, which can be changed to four different lengths for versatility – 880mm, 995mm, 1,035mm and 1,112mm. It also features LG’s ‘Opti-Balanced’ handle with an ergonomic design, boasted to reduce effort while you vacuum for additional comfort. The 0.44L dust bin has an easy-to-empty system with one release button. The design also features a charging indicator, plus a battery remaining indicator. How much does the LG A9 cost? LG’s A9 handstick vacuum cleaners are certainly at the high-end of the price range. There are currently five models available, with the main differences being that some come with the dual battery pack and others with just one. The most expensive is the Handstick A9MASTER2X, which costs $999. Should I buy the LG A9 vacuum cleaner? Handstick vacuums are revolutionising the traditional vacuuming space. They’re simple to use and are usually lightweight. Competing with the likes of Dyson’s V10 Cyclone Vacuum, the LG A9 features a dual power pack for extended battery life and is designed to be used for a variety of different cleaning tasks, with multiple attachments. Perhaps the next step for vacuums will be to reduce the noise levels with the A9 being slightly above the average vacuum – 82dB (turbo mode without nozzle). Having a cordless handstick vac may improve your experience of vacuuming – no more re-plugging from room to room or lugging around a heavy barrel. However, the premium price may have you questioning if you really need the LG A9 vacuum. You may like to check out how LG vacuum cleaners rate compared to other brands with our customer reviews, which can be found via the link below.